To set a spooky mood, start with your lighting. You’ll never see a bright haunted house, most are dark with flickering lights. 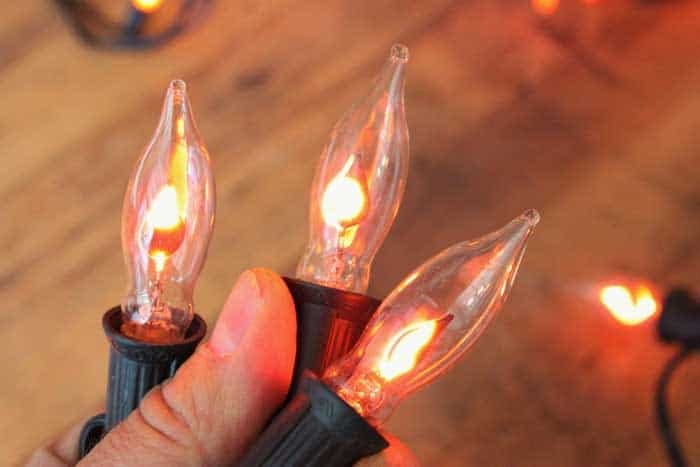 Get those flickering lights by following this online tutorial. You need to splice into one cable on the extension cord using your knife and attach the fluorescent starter inline between one exposed cable. Solder the ends then cover with electrical tape. Then attach your light fixture and plug the unit into the wall and you’ll have an automatic flickering Halloween light!